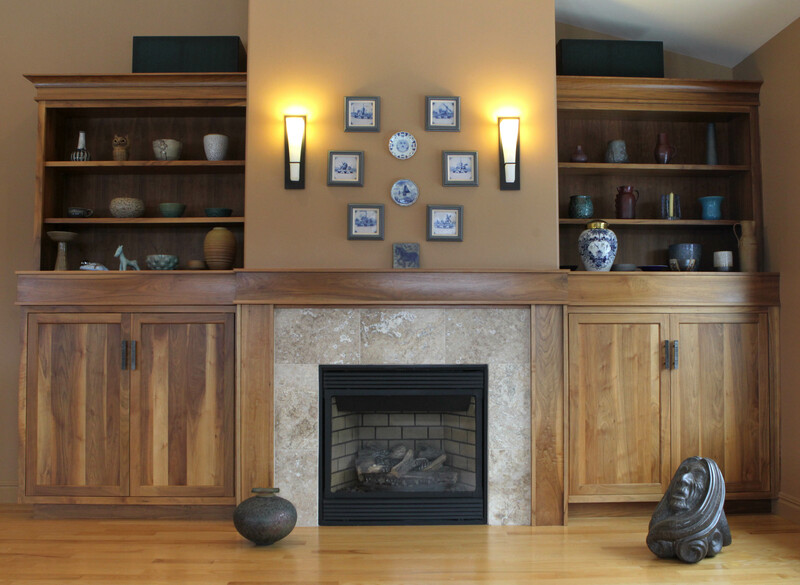 The living room wall housing some of the nearly 100 pieces of Deichmann pottery one Rothesay homeowner has collected over the past 40 years. The collection was factored into the design of the home. Not everyone has the desire or means to build their own home. The prospect of navigating one’s way through the thousands of challenges involved in dealing with designers, architects, general contractors, subcontractors and manufacturers is sufficient to discourage the larger percentage of prospective homeowners, turning them into home buyers rather than home builders. 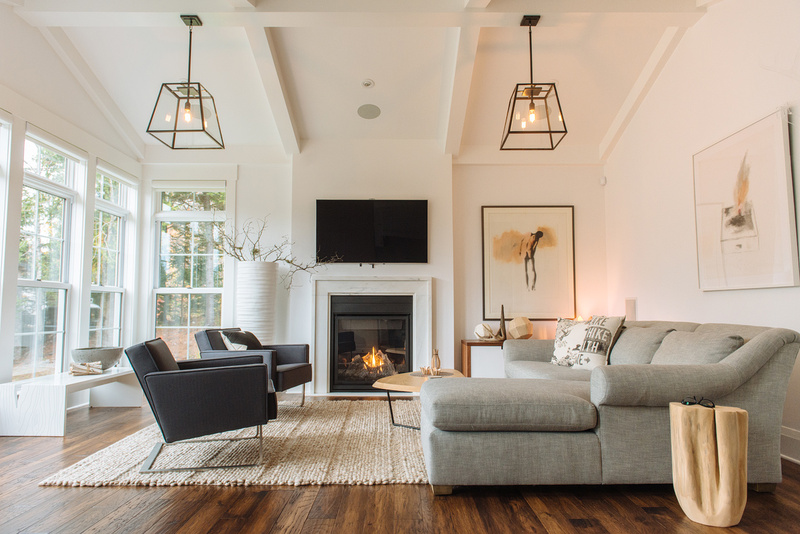 The challenges notwithstanding, it’s difficult to match the satisfaction that comes from creating a space uniquely adapted to how you live, a home built to your own specifications, one that expresses your tastes and passions. In some cases, those passions manifest themselves as collections. Recently, I had the pleasure of visiting an owner-designed home in Rothesay, one built to capitalize on the site’s dramatic views, designed to take full advantage of the way the sun sets in the late afternoon. 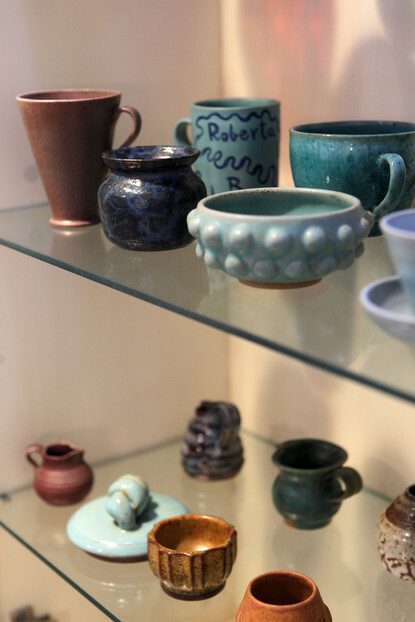 What most struck me was the degree to which the home’s interiors were organized around an impressive collection of New Brunswick pottery, principally that of Kjeld Deichmann and Erica Deichmann Gregg. About seven years ago, the homeowner, then a widow for several years, decided to move from the large home she’d shared with her late husband for 30 years and build a smaller home on an empty lot, just across the street, for retirement. The resulting open-concept home boasts large windows, Scandinavian furnishings and an impressive collection of original New Brunswick art. Keeping company with the Deichmanns are several framed, hand-painted 18th-century Dutch tiles, and a Dutch spice jar from the same period. The pottery collection also includes a Tom Smith as well as a dramatic Ned Bear sculpture. Occupying a very special place on these shelves of treasures is a stone painted by the homeowner’s granddaughter. The Deichmann’s were known, too, for their ceramic lamps, and this home boasts at least 13 table lamps variously displayed on side, bed and coffee tables. 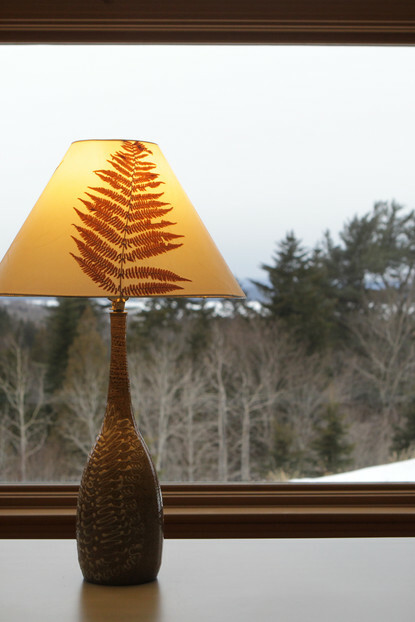 One of the lamps, purchased at a Craft Council fundraiser several years ago, was the last piece Kjeld made before he passed away. Erica glazed it after his passing.One of the reasons this collection so impressed me, from a design standpoint, was the manner in which it served as a thematic in the interior space. Not only did the collection serve to express the homeowner’s taste and speak to her personal history, it put several of the rooms of the open concept into a strong and meaningful relation to each other. In the kitchen, for example, among the cupboards with solid wood faces, is a glass-fronted cupboard, lit from above, used to display a score of small Deichmann pieces. 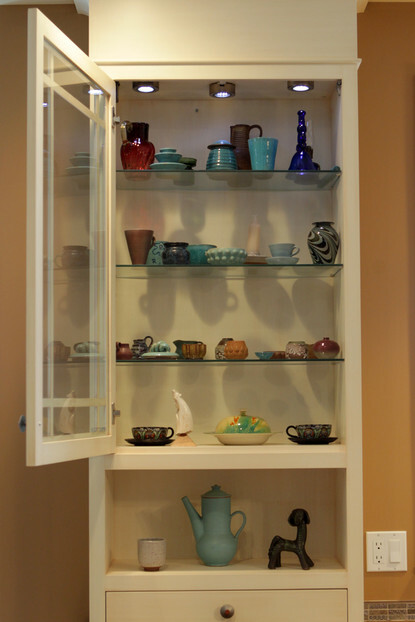 The lower shelf features some very early Majolica passed down to her from her great grandmother. From a design standpoint, however, what is rare is a collection of individual pieces that are strong in their own right, and which cumulatively serve to tie sundry interior spaces together in a necessary relationship with each other, even as it connects interior to exterior space. Judith Mackin judithmackin.ca Owner of punch inside, an interior design company, and Tuck Studio, located at 40 Autumn St., Saint John.